If you haven’t already seen it, you may enjoy this video. Also, help us spread the word by taking a pic with our custom Facebook filter that gives you a beard just like mine: https://noahdyer.com/beard/. 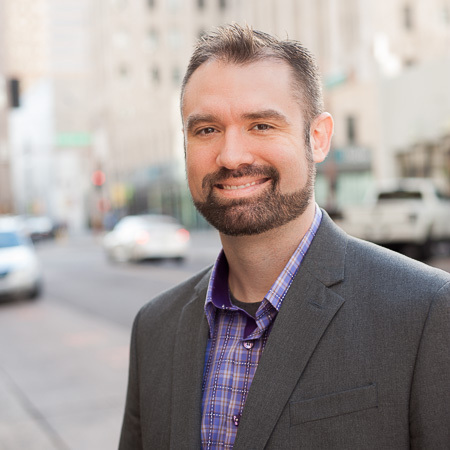 I am the independent candidate for Governor of Arizona. 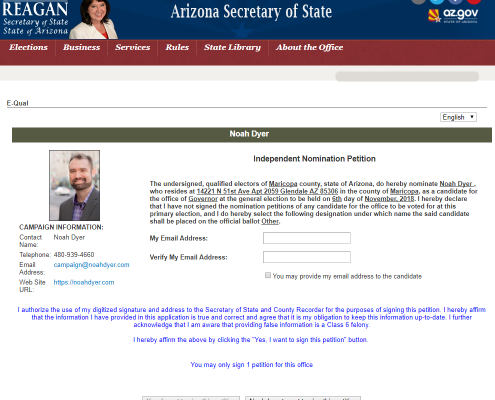 If I was running as a Republican or Democrat, I would need 5000 signatures to get on the ballot. But just because I’m running as an independent, they make me get 35,000. It’s unjust, and it’s something that partisans have done purposely to keep independent voters and candidates from having a stake in our elections. Regardless of your political views, if you think independents should be allowed on the ballot, you need to sign this petition! This whole process only takes about 60 seconds. Get out your drivers license. 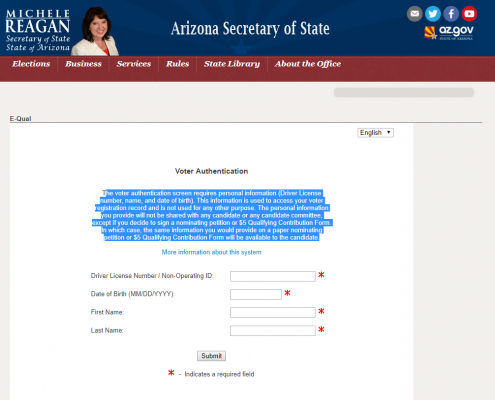 This is how the Secretary of State will make sure you are a registered voter. Click on this link and fill out the secure form pictured below. 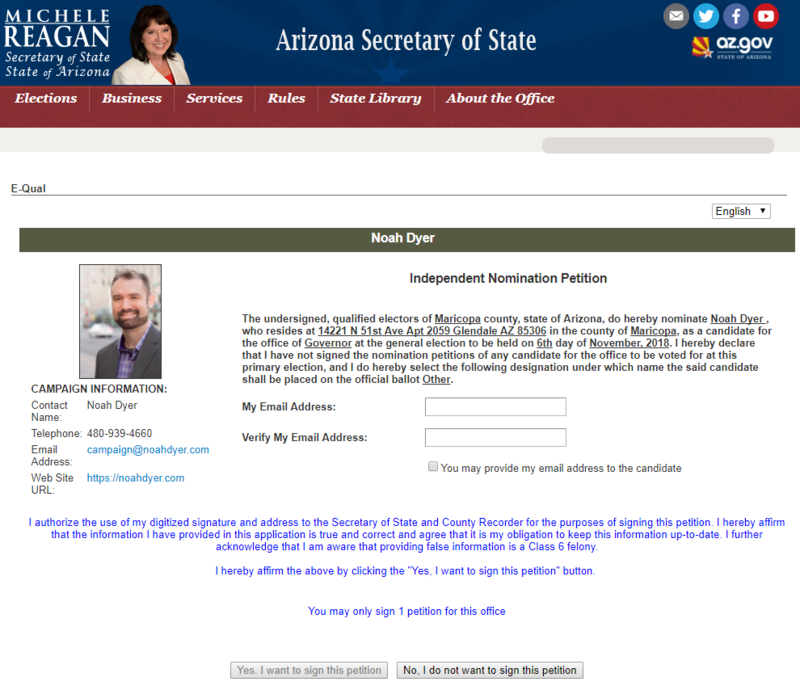 It doesn’t mention my candidacy on the first 2 pages, but you’re in the right place. 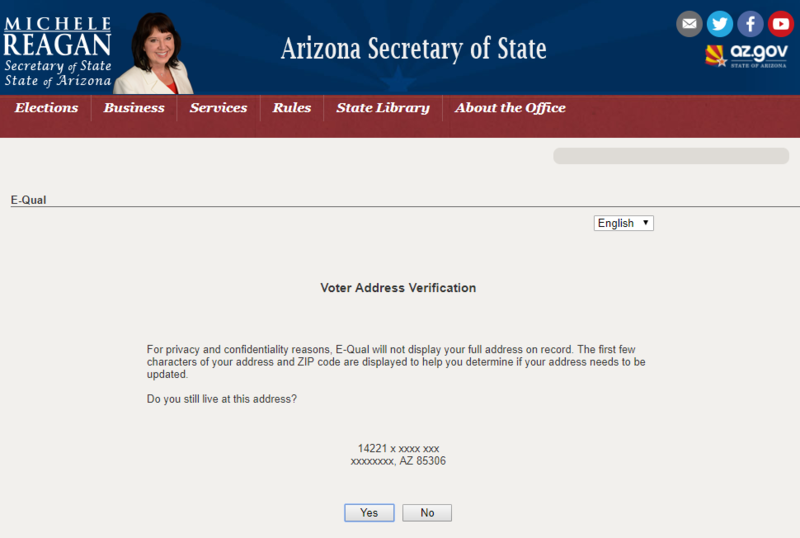 Verify that your address is correct. 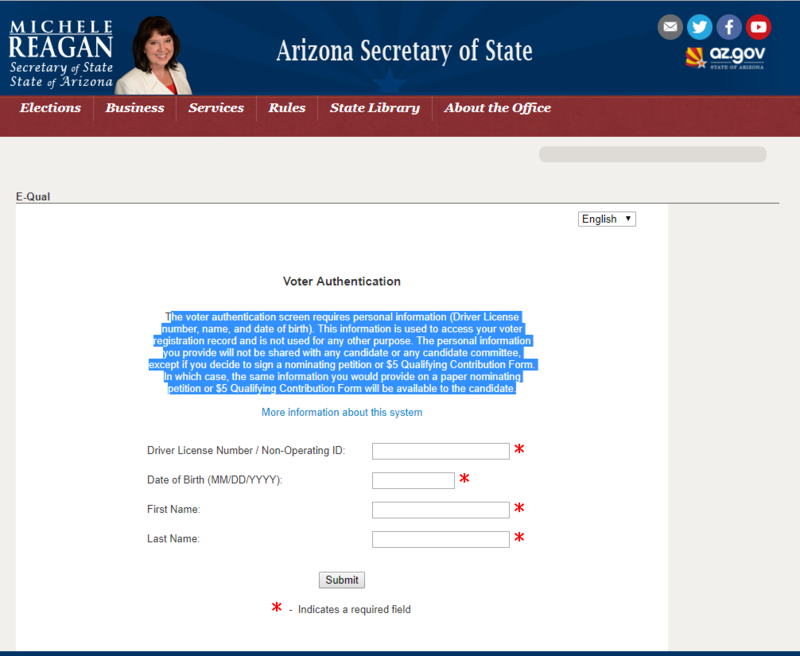 The personal information you provide will not be shared with me or any other candidate or any candidate committee. Enter your email and confirm that you intend to sign my petition. Optionally share your email address with me (we appreciate it). That’s it. Don’t wait. 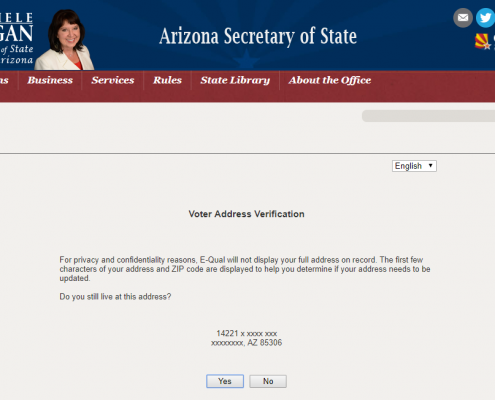 Arizona is counting on you!